FDR or Franklin Delano Roosevelt was the 32nd president of the United States. He was Commander in Chief of the U.S. military for most of WW2, and also had polio so bad that he was forced into a wheelchair. He also suffered from high blood pressure, atherosclerosis, coronary artery disease, and congestive heart failure. In other words, this guy had a lot of problems. He also forced 100,000 american citizens into camps, I mean what the hell man? Weren’t we fighting someone who did that? 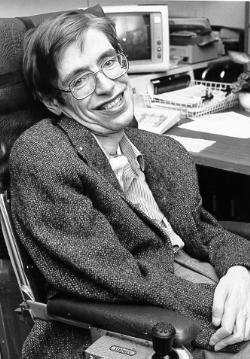 Stephen Hawking is a theoretical physicist with a rare form of ALS (Lou Gehrig’s Disease). He has been slowly paralyzed through the years and is now confined to an electric wheelchair. He utilizes a speech generating device to communicate his (sometimes) brilliant ideas. He fears that artificial intelligence will destroy mankind, cause you know, what’s it ever done for him? Here he is before Michael Bay got ahold of him. As I stated in the title, I’ve done this Deadliest Warrior style and gave all their stats to a nerd with a supercomputer. Let’s just see how it turns out. Stephen had just finished an important meeting with NASA. He rolled out of the building into the plaza outside. No one is in sight, but he didn’t think much of it. Stephen turned around to see FDR wheeling towards him. Stephen stared at him and gave him a cold calculated response. FDR, in a blind fury, charged at full speed. Stephen was ready. At the last moment he maneuvered out of the way and rammed into FDR from the side. 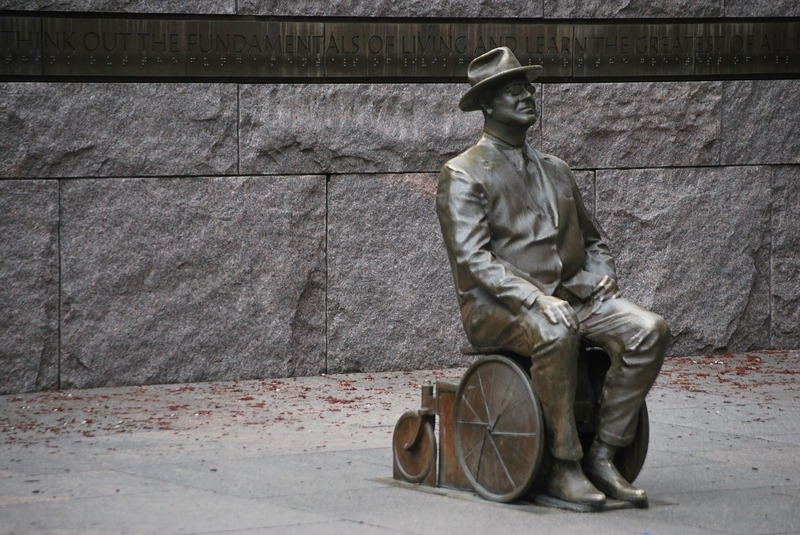 The outdated wheelchair fell over and FDR frantically tried to push himself back up. Stephen proceeded to ram him mercilessly. ‘Where’s your 84% approval rating now?’ Stephen taunted. FDR abandoned his chair and tried to crawl away. He had not been beaten yet. Stephen charged him in his exposed state, but FDR was ready. He grappled Stephen’s legs and pulled him out of his chair. Stephen was paralyzed with fear, among other things. FDR raised his fist and punched him in the face. Stephen looked shocked, but that was probably because his mouth lay open from the blow. He knew it was over. FDR kept punching. Blow after blow landed in Stephen’s face. Knocking a few IQ points with every hit to his award-winning brain. That’s when a voice interrupted. Stephen’s chair had come to the rescue. It charged FDR at ramming speed, knocking him off of Stephen’s limp body. It moved closer and rolling one of it’s front wheels onto FDR’s exposed throat. It then commanded itself to make a sharp turn. The wheel spun with blinding speed. It was not long before the soft skin of FDR’s throat began to give. Blood flew everywhere and all the former president could do was watch the world go black. When it was done the chair rammed his corpse a few times for good measure. Stephen knew what would happen next. Someone would call the police and his savior would be dismantled. Stephen smiled. But all that resulted was a small twinkle in his eye. He had survived. He knew he had become the Deadliest Warrior.